Hello Luis, this is fantastic news! 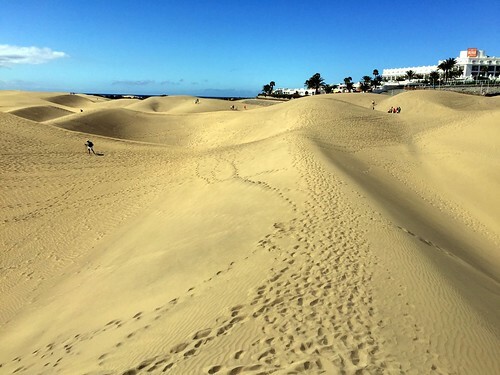 Very timely, as I am planning my first trip to the Gran Canaria in February and have been looking for information about what to do/see/eat (and to decide if we should stay on the one island the full 10 days that we have for vacation). I look forward to reading more about the other side of life and experiencing a bit of your love for the island! Hi Michael, thanks a lot for dropping by and for the wonderful comments! They are greatly appreciated! This is just terrific news, indeed, because I’m hoping to have several dozens of articles by then shared over here in this blog that will include both places to eat & dine as well as all around activities to consider. And knowing you will be staying over here for 10 days, going to the other islands as well should not be a problem as they are all within 30 minutes (by plane) or 1 hour (by ferry boat), so if you would want to consider hopping over there are tons of good options. If you would want to explore potential options in this regard let me know and I will be more than happy to help out where I possibly can. Yes Luis I would love your insight on all the things you mentioned, especially about going to other islands. In particular if you would suggest daytrips or going longer. Hi Michael, apologies for the delay on the response as I have just noticed there was a follow-up comment (the one above) and I didn’t get any notification about it and I only just found out about it. Grrr Sorry! Finally, RE: other islands, I would strongly recommend hopping over to Tenerife for a day or two, depending on how much hiking you would want to do and visit Mount Teide, its National Park, La Orotava, Masca, La Laguna, Los Gigantes, Puerto de la Cruz, etc. Let me know what you would be interested in … Perhaps take a look into this photo gallery from a couple of recent trips I did to Tenerife and see what’s your fancy. Another island to check out would be La Palma. Take a look into this other gallery where I have shared tons of pictures and see if it would be a place that would interest you. Lanzarote would be another good option you could do with a couple of days and a one night stay-over. But then you may already be visiting far too many places, so let me know what you think would be most appealing to you and your friends and I will suggest some additional activities and places to eat & dine as well.